Graphic designers have to encounter new tasks each day, they are always up to making something useful in respect to their own work or to accommodate others in the long run. A good graphic designer is always open to new ideas, he takes criticism lightly and do not bother what others have to say against him, he is obedient enough to his supervisor and kind enough to give all eyes and ears to his clients. He is to deal various temperaments of people, some are always nagging and keep on disapproving the work done for them by the graphic designer, they ask for various changes and alterations hence the designer actually gets perturbed how to satiate the needs of the client, then only a patient and professional graphic designer can cope up with the situation. He lives up to the standard that is required from him and does his job whole heartedly. In the field of designing and art, artists have to showcase their work widely to get them noticed. They want exposure so more people can ogle at their stuff and they get a larger audience to follow their suit. The boards and big platforms are built to cater such artists who want to create their art world and fetch audiences to their place where people can regard and appreciate their work. 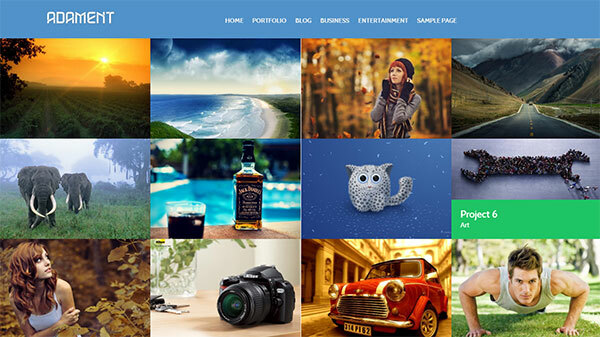 Today I am unfolding 10 best Premium Responsive Free Portfolio WordPress themes for May 2014. All the graphic designers and professional photographers who want to post their entire portfolios and camera work on an apt podium, WordPress can surely help them out on a larger scale. It is a very cheap and low cost platform where the artists can earn clients to their portfolios. It is a way to bring forth your specialty and competence before people. The intellectual, creative, professional and skillful works can be uploaded on the blogs having portfolio themes. I hope these brilliant and impressive themes would help you out. You can make your online store as well to sell away your products, stuff and graphic goodies through Ecommerce based themes. You get to slog through the collection, grease your wheels and take the quick ride down below! Protra is a vertical scrolling free portfolio wordpress theme with its horizontal layout Portra is perfect for showcasing photography or design art works Protra is a clean protfolio wp theme that allows the graphic content to stand out and make a powerful impression. Adament is a premium portfolio wordpress theme from fabthemes.com. Adament is perfect for photography based website. The theme comes with many fancy features. 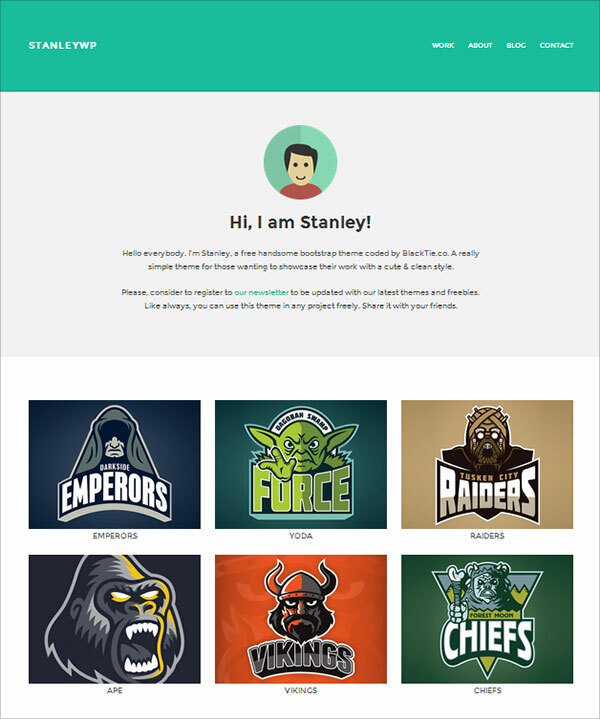 Wembley is a free premium portfolio WordPress theme built with Bootstrap 3 framework. This will be a handy choice for photographers and designers. A must have for beginners as well as professional. 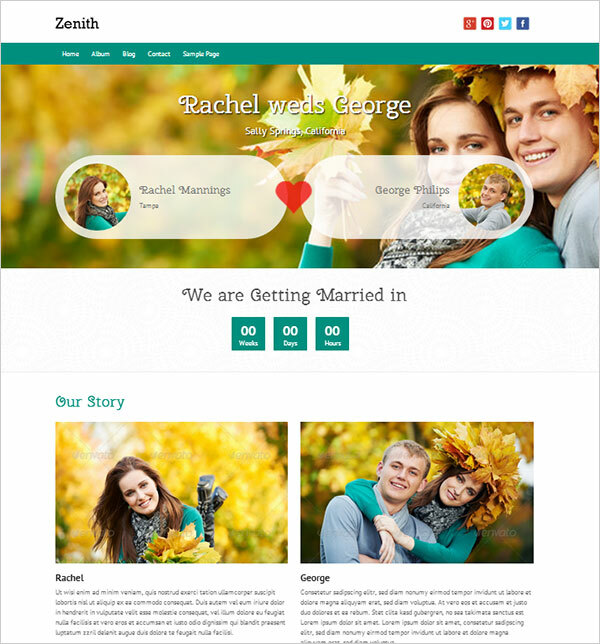 Zenith is a free premium responsive WordPress theme for wedding This theme is built on Bootstrap 3 framework. Zenith is an ideal to setup for wedding. There are so many colors supported for Zenith. Revera is a totally free top quality wordpress theme using Bootstrap 3. 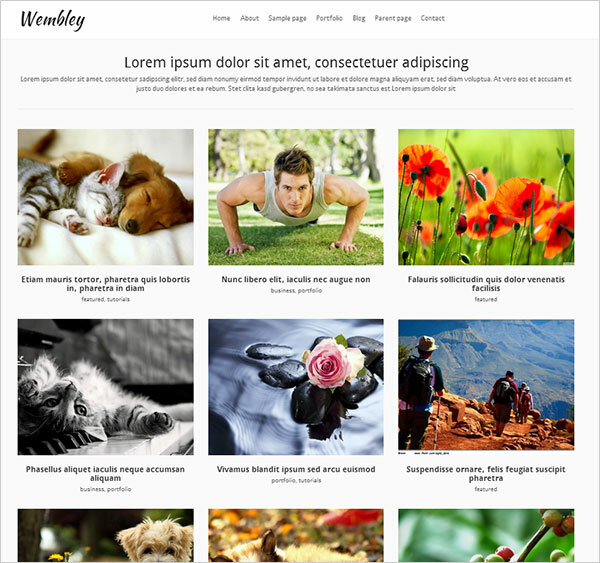 It is wordpress 3.6 ready theme. Revera is shipped with so many premium features like, custom menu, featured images, custom homepage template, portfolio page template , widgetized sidebar and footer, custom widgets on homepage, theme option page etc. Virtue free wordpress theme is exceedingly diverse. It is totally free theme with numerous premium features. It is very easy to customize. 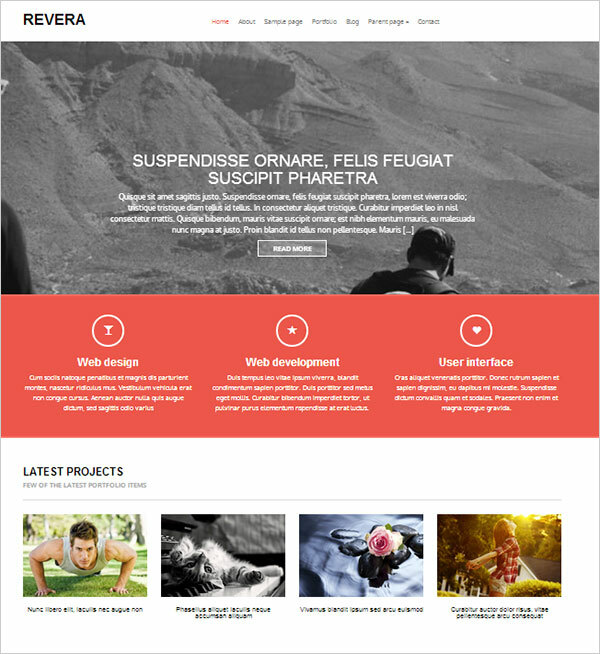 Virtue wp theme is very clean with contemporary design having html5 and css3. It is built from Bootstrap to make it look perfect on devices like ipad and iphone. 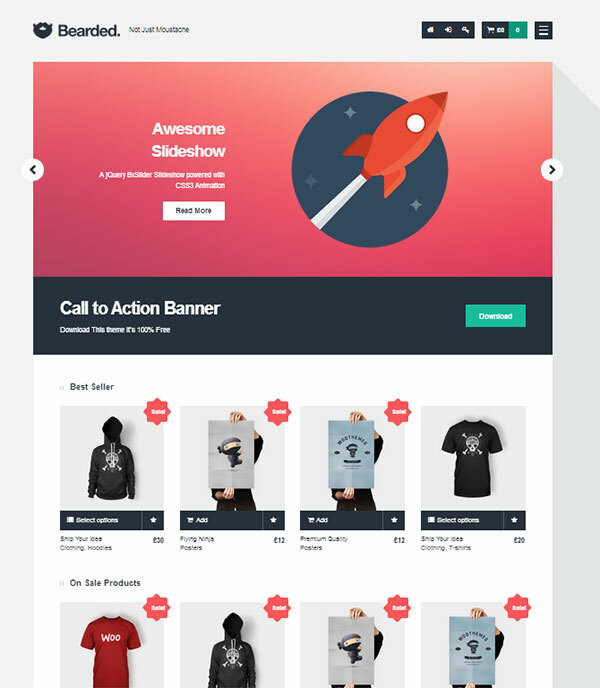 It’s entirely Woocommerce ready that you can design a wonderful online store. In addition, it comes with portfolio posts. The extremely versatile design is good for any kind of enterprise, online store, collection or maybe individual web site. Mansion portfolio wordpress is perfect for photobloggers. 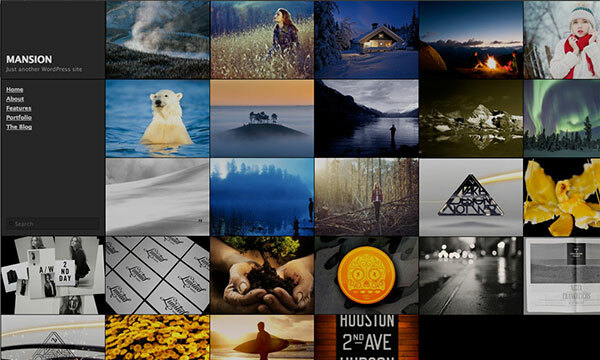 It has flexible-width thumbnail grid for images and photo journal submissions. Mansion has custom widgets, premium theme options, page templates, custom backgrounds, translation-ready and supports all modren browsers. 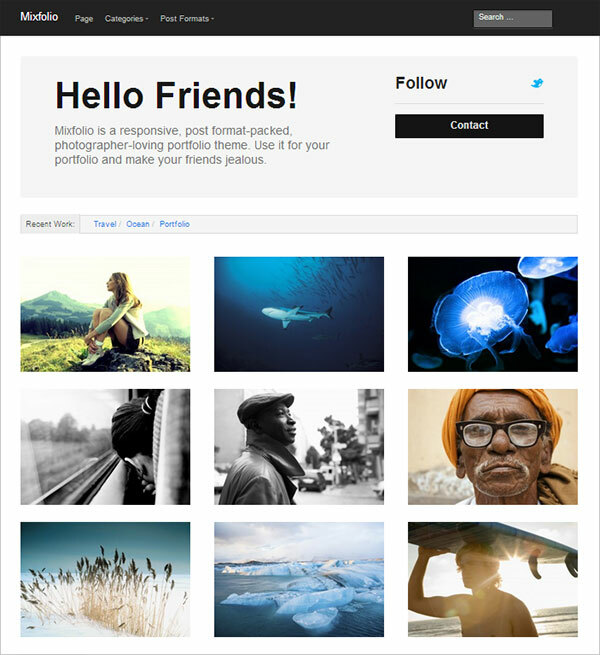 Mixfolio free portfolio wordpress theme is made with HTML5. Put your portfolio and show off to your friends. 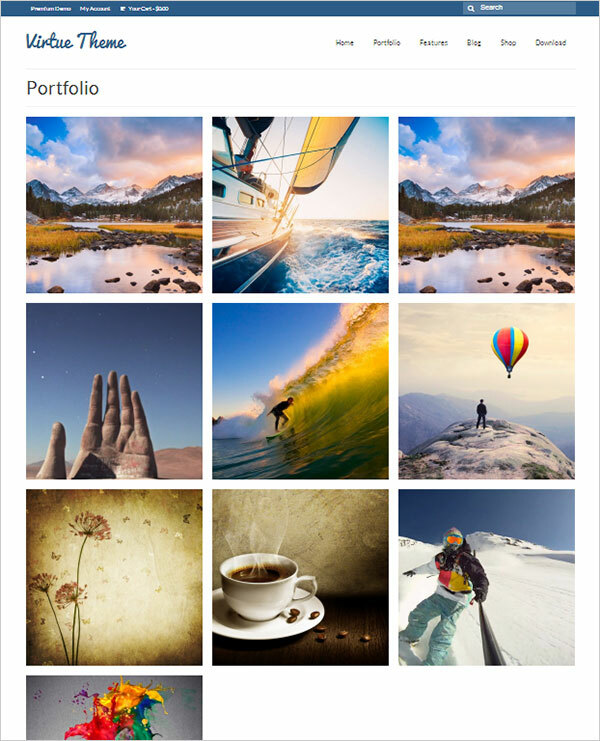 Create Galleries, Video clip or standard posts with Mixfolio’ Post Formats feature. Great work, Zee. I’m liking some of the FLAT themes in the list, looking forward to trying them out. Thank you! Great Free themes with premium features. thanks for sharing!